It’s a well-known fact at this point that Gainesville has a thriving arts scene, just one stroll through downtown will show you crafty bodegas, record stores, music venues, coffee shops, and art. 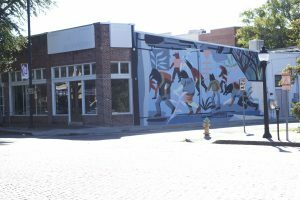 There are colossal murals sprawled through downtown Gainesville as a part of the project 352Walls, as well as commissioned works and street art. 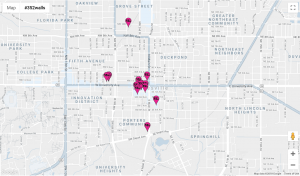 You don’t have to go to Artwalk on a Friday night to experience the culture, just visit 352walls.org and look at their map to discover hidden gems. The best way to spend a Sunday morning in Gainesville is to bike around town and Mural hunt. 352 Walls definitely doesn’t capture everything on the map, but biking anywhere from Ward’s Supermarket to Depot Park you’ll be sure to see some butterflies, portraits, floral pieces, and abstract art. 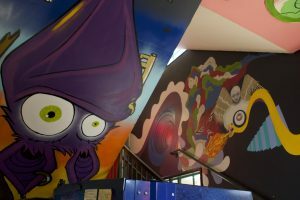 So next time you’re looking to snap an insta pic, or maybe a dance or modeling photo shoot, check out some of these murals for inspiration. Be sure to tag @352walls and @buysellrabell on Instagram and we’ll give your photo some love!